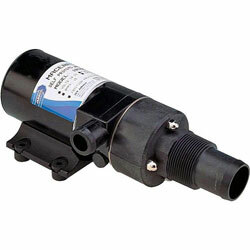 Jabsco Sealed Macerator Pumps provide the ideal solution for waste, fish box and livewell tank evacuation. Macerator with stainless steel 4-blade cutter reduces particle size to 1/8" max. Trident XHD Sanitation Hose - 1-1/2"
Trident XHD Sanitation Hose - 1"
Raritan Sani / Flex Sanitation Hose - 1-1/2"